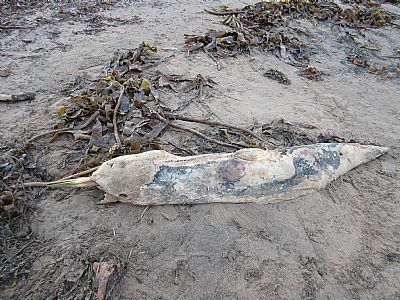 On the 19th February 2018 whilst taking a stroll along the seashore I came across a dead marine life. (see photo attached). I photographed it and sent it to SMASS – they emailed me back and said that it was a Common Dolphin and my observation had been logged under case reference number M108/18. If you come across a dead or alive stranding here are the contact details for SMASS.